Today is National Tooth Fairy Day! 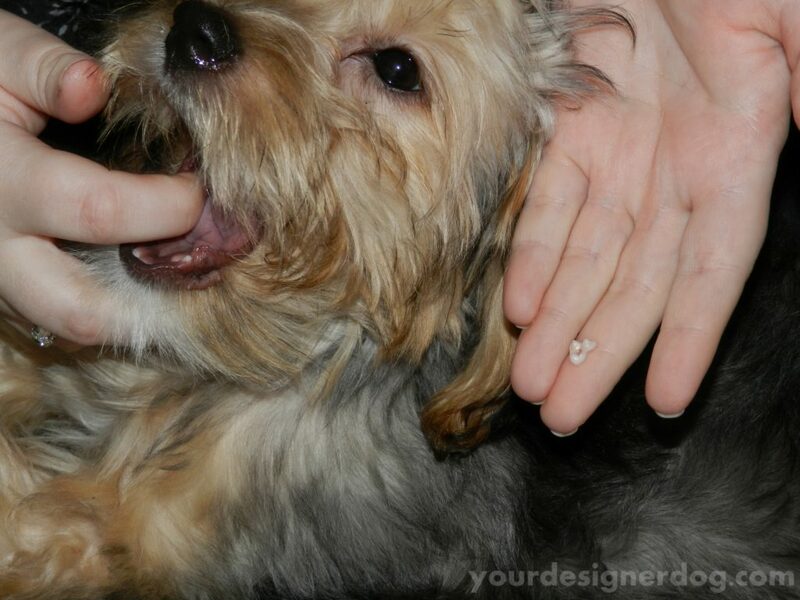 In this flashback photo, my puppy Sadie has lost her very first baby tooth. Instead of cash, the Tooth Fairy put a dog treat under little puppy Sadie’s dog bed. Afterward I wondered if my dog realized she had gotten a surprise treat during the night or if she just thought she had buried a bone under the bed and had forgotten about it. Either way the Tooth Fairy supplied treat was appreciated. Although her tongue is not exactly out, you can definitely see it, so I think this still counts as a Tongue Out Tuesday photo.